Keeping schools safe has always been a top priority for most educators, parents and communities, but it is essential for security to be as top-notch as it can be in any educational setting. Not only can a high level of security help keep children safe while they are at school, but it can also help ensure that educators, parents and other visitors to school grounds are safe from danger. 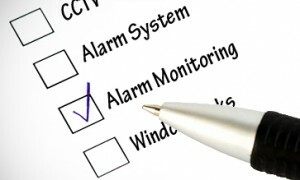 It can also help prevent expensive crimes on school property, such as vandalism, theft and more. Although there are a lot of products and systems out there that can be used for school security, there are a few must-have products that every school system should utilize. Fortunately, many of these products are surprisingly affordable, and they can make a major difference in how safe a school is for the children who attend it and others who go on school property on a regular basis. Visitor badges are probably the most affordable pieces of security-related equipment that can be used in a school, but this doesn’t mean that they aren’t incredibly valuable. Without visitor badges, it can be difficult for school officials to recognize who should and shouldn’t be inside a school. If visitor badges are used religiously, however, it can be easy for educators and others in the school to instantly recognize who shouldn’t be there or who should be asked a few questions before being allowed to continue spending time within the school. It is important that visitor badges are used properly in order for them to be effective, however. For instance, it is essential that every person who walks through the door of a school is properly identified by school staff. Then, each person should be asked to show identification and sign in on a roster to show that they have been at the school that day prior to receiving their visitor’s badge. If these steps are taken, there can be more accountability for those who enter school grounds. In today’s world, security cameras are an essential part of any security system at any school in the country. Although many schools operated just fine in the past without them, it is impossible to argue that they aren’t useful in today’s education system. Security cameras can help deter violence and other crimes, can help teachers hold students accountable for bullying, drug or alcohol use and other types of misbehavior, can provide valuable evidence in the event that a crime or other issue happens at the school and can help ensure that everyone who is on school grounds is doing what he or she is supposed to be doing. Fortunately, security cameras are much more affordable now than they used to be, and a good surveillance camera system company can help school systems find and install the best surveillance cameras for their needs. First of all, surveillance cameras should be placed at every door that goes in or out of the school. These cameras can help staff members monitor those who are entering the school, and they can help provide proof in the event that someone enters the school when they shouldn’t or if someone commits a crime on campus. Surveillance cameras should also be distributed elsewhere inside and outside of the school for best results. Having cameras in the hallways can help educators keep an eye on what goes on during the day, and having them in classrooms can help monitor both student and teacher behavior as well as keep a look out for any other issues and crimes that might arise. Outdoor surveillance cameras can be used to look for vandalism and theft after the school has been closed for the day, and cameras that are placed in parking lots, on playgrounds and in dark exterior corners of the school can help faculty members watch for all sorts of actions, from bullying and fighting to smoking and drug use to even more serious matters, such as kidnapping, shooting and other acts of violence against students or others who are at the school. Surveillance cameras even have a place on every school bus. If cameras are installed on buses, faculty members can keep an eye out for students who are misbehaving, bus drivers who aren’t handling things properly and more. Capturing surveillance footage with security cameras will not do a lot of good if no one can watch the footage, so it is essential for school systems to have reliable digital video recorders and monitors in order to watch, record and store the footage that their surveillance cameras capture. There are a lot of different digital video recorders out there for educators to choose from, and many of them are a lot more affordable than people think. It is important to choose a system that can reliably show footage from all of the cameras in the school at one time, and it is also essential to record and store this footage for as long as possible in case the footage is needed in the future. Deciding where to place these monitors can be tricky, but it is important for educators to come up with a good location for best results. Having security guards or other faculty members keep an eye on the monitors so that they can watch for suspicious or bad behavior is a good way to stay ahead of any problems that might occur during the school day. Although a lot of people don’t like to consider the use of metal detectors in schools, they certainly have their place on campus. In some situations, it is a good idea to use a metal detector on everyone who enters the school. In other cases, metal detectors can be used on visitors who are entering the school, and they can also be used at football games, band practices, cheerleading competitions, graduation ceremonies and other events that occur on school campus. Although metal detectors can seem frustrating to those who are entering the campus and can require a lot of extra manpower, they are typically well worth the money because they can help deter and prevent crime and violence from occurring on school grounds. Security guards can make an excellent addition to schools. Those who know that security guards are on campus and watching what is going on might think twice about committing a crime or getting violent, and security guards can help in a host of situations because they are well-trained in handling crimes and other matters. Although all of these components of a school security system are important, it is important to remember that staff members have a lot of control in their hands when it comes to school safety. Therefore, it is important for every staff member to take school safety and security very seriously. Staff members should make sure to learn what they need to know about school rules and policies, and they should work hard to enforce any safety and security-related rules. They should also be diligent about reporting any suspicious behavior that they might see. If all of the staff members at the school put a focus on keeping the school safe, following all of the safety rules and using all of the security equipment that has been put in place, the results can be a lot better than if staff members don’t take any initiative at all. If you want to know more about ways of preventing and anticipate. Contact us today and speak about specific needs with one of our security advisers.